That age-old question: is it better to give or receive? At the Wisconsin Union, we love to find the perfect gift for our friends, family, coworkers, or employees. We also understand time is tight at the holidays and sometimes you just can’t find that special present. As always, the Wisconsin Union has you covered! Whether it’s apparel, a cooking class, a membership or even just a gift card, the Wisconsin Union is your one-stop shop for everyone on your list this year! Give the greatest gift of all with a Wisconsin Union Membership! Not only do you give the gift of exclusive discounts and member-only events, but you support thousands of students in the programming and opportunities that the Wisconsin Union makes possible. Friends or family, young or young-at-heart, UW grad or Madison community member, a membership to the Wisconsin Union is an excellent way to give someone experiences they’ll remember and value forever. Need the perfect something to show appreciation to your employees? There’s no better way to say thank you than with the gift a Wisconsin Union Membership and access to everything we offer, including member exclusives. Even better, you can get a Wisconsin Union annual or lifetime membership for an unbelievable price now through Cyber Monday. A gift that keeps on giving and that NEVER goes out of style! You can buy one for everyone on your list here. Provide an experience by purchasing tickets to the Wisconsin Union Theater. More than just a present under the tree, our Wisconsin Union Theater offers world-class performances that will wow even the pickiest of theater-goers. Whether it’s one show, or the whole season, this is a gift that you’ll be jealous you aren’t receiving yourself! Give someone in your life an experience that they’ll remember long after the holiday lights are turned off and taken down. Better yet, make an evening of it and join us for dinner/drinks before or after your show at any of our dining locations! Visit the Memorial Union Box Office website for more information about purchasing tickets. Want to give the gift of homemade? Look no further! Wheelhouse Studios has tons of great workshops and opportunities to help you make unique and creative gifts, holiday themed or not. Make a fused glass holiday ornament or wet felt a holiday stocking on November 28, create mosaic gifts on December 13 or learn stained class design and gift-making starting November 27. View upcoming classes and workshops here. Not so artistic yourself, but know someone who is or wants to be? Wheelhouse is the ultimate outlet for the creative folks in your life. 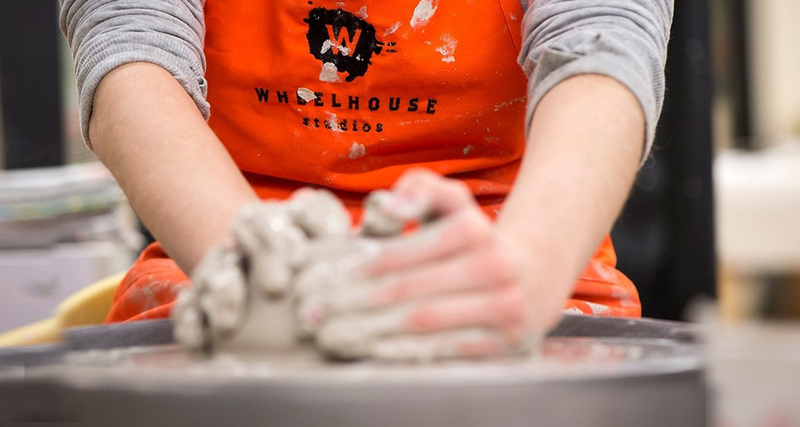 A gift certificate from Wheelhouse Studios is for anyone looking to try something new or perfect an existing skill. In addition to painting and drawing, Wheelhouse offer photography classes, music lessons, food art and cooking workshops, dance lessons, glass art, clay work and so much more! There’s a workshop, class, or private lesson that’s perfect for anyone you’re shopping for this season. Explore classes, gift certificates, and more on the Wheelhouse Studios website. From posters, pins and stickers to Wisconsin Union apparel, we have gifts of every kind imaginable to remind of warm Terrace days during the cold winter months. There’s something for even the toughest to shop for at the Terrace Store, including full-size Terrace Chairs! Check out the full selection here. Want to give a gift that is literally set in stone? Surprise someone special in your life with an enduring message on one our Terrace pavers. Share a special moment, memory or story with generations to come, while also donating to support the Wisconsin Union. Read more about the history of pavers on the Terrace, then give the gift of a legacy that will truly last a lifetime and purchase a paver here. Do you have a skier or snowboarder on your list that’s fed up with their current gear or wants nothing more than an upgrade? Stop by the 55th Annual Hoofer Ski and Snowboard Resale on December 1 and 2! They will have equipment from local and national vendors, as well as new and (barely) used items from the community at unbelievable prices! There’s never a better time to get equipment that will make your shredder feel like new. Better yet, all proceeds support the Hoofers teams, trips, and their free events with community partners like Big Brothers/Big Sisters. Don’t miss your opportunity to make this winter season the best one yet for the skier or snowboarder in your life and stop by Union South on December 1 or 2! More information can be found here. Too many fantastic options to choose from? Let them pick their own experience with a Wisconsin Union gift card! In increments from $25-$100, this is a great gift for anyone and everyone! They can be used at Wheelhouse Studios, the Wisconsin Union Theater, Sett Recreation, and a wide-variety of our food and beverage locations! The complete list of accepted locations can be found here. The Wisconsin Union is also here to help you get into the holiday spirit! There are tons of activities and opportunities to celebrate the season at the Wisconsin Union. Join us for a Tudor Holiday Dinner Concert or a performance of Dance Wisconsin’s Nutcracker Ballet! More information about our amazing holiday programming and gift ideas can be found here.